On October 30, I was invited to participate in a Cato Institute panel discussion on Halbig, King, and related challenges to the Affordable Care Act. In the wake of the conference, I’ll be writing a few posts based on the panel discussion. If you’d like to watch the entire law-focused panel, I’ve created a C-SPAN clip here. Other reflections at Part I (Isolationism), Part II (Textualism), Part III (The Whole-Text Canon), Part IV (Halbig’s “Two Exchanges” Problem), and Part V (Creeping Constitutionalism). Much of the argument surrounding the merits of the Halbig decision has focused on intent: Did Congress intend to limit tax subsidies to state-run exchanges? Or were the subsidies meant to be available on federal exchanges as well, despite the statute’s language limiting subsidies to an “Exchange established by the State under section 1311.” The challengers have focused on the statute’s text, while the government’s supporters have often (not always or exclusively, but often) focused on unexpressed legislative intent. As explained here, I’ve long thought that the pro-government arguments should focus more on the text. [R]easonable statutory interpretation must account for both the specific context in which language is used and the broader context of the statute as a whole. A statutory provision that may seem ambiguous in isolation is often clarified by the remainder of the statutory scheme because only one of the permissible meanings produces a substantive effect that is compatible with the rest of the law. Thus, an agency determination that is inconsistent with the design and structure of the statute as a whole does not merit deference. Utility Air Regulatory Group v. E.P.A., 134 S. Ct. 2427, 2441-42 (2014) (internal citations, alterations, and quotation marks omitted) (emphasis added). Reading Justice Scalia’s language, he almost sounds like a purposivist: “overall statutory scheme,” “statutory objects,” “implementation strategies,” “broader context,” “substantive effect,” “design and structure,” etc. But Justice Scalia’s focus on intent, context, structure, object, and purpose is wholly textual. To determine the object, purpose, effect, and context of the relevant statutory provision, Justice Scalia does not look to general statements of legislators on Meet the Press or to the editorial pages of the New York Times. Indeed, he doesn’t even look to legislative history. He looks to the text of the statute—of the entire statute. What the challengers are advocating, and what the Halbig panel did, is not textualism—at least not in the traditional Justice Scalia sense. Instead of focusing on context and statutory design, the challengers focus narrowly on a single isolated statutory phrase: “established by the State under section 1311” without regard to the broader statutory language or the other 900+ pages of the ACA. I am not sure if there is a name for the challengers’ method of statutory interpretation. In preparing for the Cato conference I began referring to it as isolationism. The challengers’ proffered interpretive theory privileges a literal, isolated reading of a narrow statutory provision. And while the directly applicable provision is read strictly and narrowly, other statutory provisions are weak and malleable in the face of the challengers’ initial reading. The isolationist method of interpretation proceeds as follows: First, the applicable statutory phrase is read in isolation and given a “plain text” reading. That reading is then awarded a strong default preference—a sort of static friction or inertia. Second, other potentially relevant statutory provisions are examined. In other words, the interpreter looks at context. But the contextual analysis is not a neutral inquiry into statutory meaning, for the applicable provision’s plain meaning has already been decided. Rather, the question is whether there exists any plausible non-absurd reading of the secondary provision that does not conflict with the default isolationist reading of the applicable language. If such a plausible reading is discovered, then the default interpretation prevails. And then the next secondary provision is examined and the same dance is repeated until all the secondary provisions are exhausted. An example from Halbig: The Court of Appeals was faced with a secondary provision that instructed states to enroll children in coverage “offered through an Exchange established by the State under section 1311.” Halbig Panel Op. at 29 n.10. Here’s how the Court of Appeals analyzed this secondary provision: “Although we recognize the oddity of requiring some states and not others to take this step, we do not see how it makes the statute nonsensical or otherwise meets the high threshold of absurdity.” Id. At no point does the isolationist inquiry call for a stepping back from the canvas to look at the statute as a whole, with equal weight given to all provisions. Instead, once the initial isolated “plain meaning” is decided, context is attacked provision-by-provision to see if the initial interpretation remains plausible. But the textualist inquiry advocated by Justice Scalia and others sets its sights a bit higher than mere plausibility. Rather, by looking at context and statutory structure as a whole, the goal of statutory interpretation must be the harmonization of all statutory language—in other words, the best interpretation of the statute, not just a non-absurd one. Forced analogy alert: To the isolationist, statutory interpretation is like a bad action movie, with the isolated “plain text” reading cast as the movie’s hero. After we meet our hero, other statutory provisions play the part of hapless henchmen. Sure, they might outnumber the hero 10-to-1, but they choose to attack him one at a time. And when they do, they are feeble and easily dispatched. They shoot at the hero over and over again, somehow always missing. But unbelievably, our hero has perfect aim whenever he lines up one of the henchmen. Statutory interpretation is not a bad action movie! 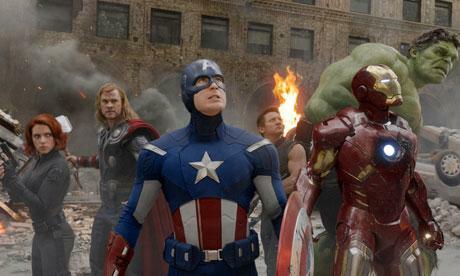 Done properly, it’s more like an ensemble hero movie: The Avengers. (Stay with me here.) Why does the isolationist cast fellow statutory provisions as enemies to be defeated? A true textualist does not view seemingly conflicting statutory provisions as enemies; they are allies. And they need to work together to figure out what the statute means and/or to save the world from Loki. The isolationist’s strong initial default is misplaced. Statutory interpretation is a searching inquiry that does not end with one provision. That is why in UARG Justice Scalia held that the term “air pollutant” could mean different things in different sections of the Clean Air Act, despite the use of a common term and a common definition. A textual plain meaning requires context, and context requires a fair reading of the statute as a whole. In later posts, I’ll attempt to give the ACA that fair reading and discuss some contextual problems for the challengers’ position. Perhaps no interpretive fault is more common than the failure to follow the whole-text canon, which calls on the judicial interpreter to consider the entire text, in view of its structure and of the physical and logical relation of its many parts. Antonin Scalia & Bryan A. Garner, Reading Law: The Interpretation of Legal Texts 167 (2012) (describing Canon #24, the “Whole-Text Canon”). In response to a question from the audience, Professor Jonathan Adler (one of the forefathers of the Halbig litigation) responded that the challengers do look at the law in its entirety. I don’t disagree. As described above (and as I explained at the conference) the isolationists don’t wholly ignore context; rather, they give context so little weight that it fails to give effect to Congress’s structure. The purpose of the whole-text inquiry is to determine plain meaning, not to see if the rest of the statute is “absurd” in light of an already-determined plain meaning based on an isolated reading of the applicable provision. This entry was posted in Uncategorized and tagged ACA, Halbig, King v. Burwell, Statutory Interpretation, The Avengers by David Ziff. Bookmark the permalink. I think you are exactly correct David with the “Isolationist” characterization of the Halbig interpretation. Its a very smart explanation for how Halbig gets to its conclusion. I think it also illustrates how the Halbig proponents even came to this conclusion in the first place. In the story given regarding the origins of Halbig, it is said that the passage was “found” or “discovered” when Mr. Christina simply sat down and read through the statute. However, the odd thing is that Mr. Christina did not say that Congress did something deliberate but rather that they had screwed up with a “glitch”. I think I would have given much more weight to their interpretation had they pointed to this provision (tucked within a section called “Refundable Tax Credits Providing Premium Assistance For Coverage Under a Qualified Health Plan”. Of course, we know that qualified health plans are found in both state-established exchanges and federally-facilitated exchanges. Its also interesting that Adler has never explained why the ACA has SO many different phrases or terms for an Exchange within the ACA. He has said that it “doesnt matter to his case”; however, I find that explanation lacking when his entire case rests on the premise that Congress was deliberate and resolute in using this particular phrase here. I’ve counted upwards of 30 different phrases where Congress is referring to Exchanges, and none of them seem to be used deliberately to refer to one particular Exchange over another. As we know from proper terminology used in statutory drafting, Congress knows how to be deliberate and clear by using one, clearly defined term throughout the statute. They did not do that here which leads one to believe that one particular phrase using a slightly different tack does not alter the overall meaning of an Exchange within the ACA. Thanks for the comment Bob, and the kind words.